ID requirements for air travel were set to change in January 2018. Nine states' IDs were not in compliance with the Real ID Act requirements, which meant that travelers from those states would be required to use their passport to fly domestically. The TSA told Business Insider Thursday that those requirements have now been postponed until October 1, 2020. 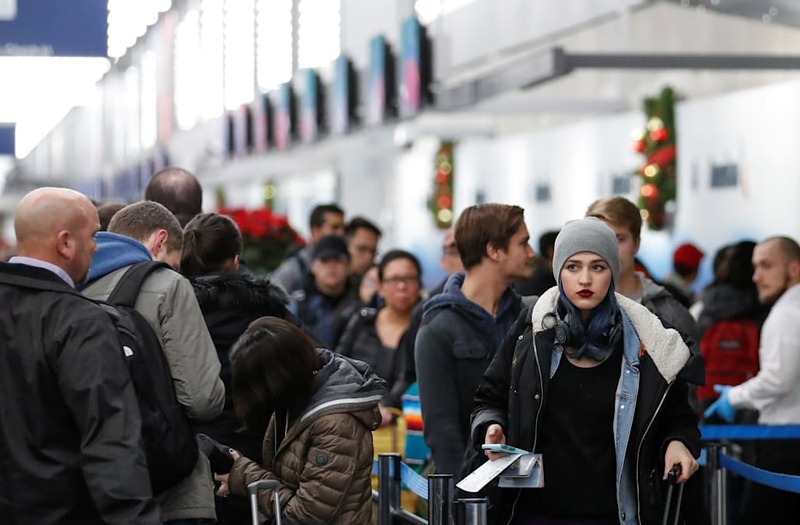 If you've flown at all in the past year or so, you've probably noticed conspicuous signs at every security checkpoint warning that "ID requirements are changing." According to the signs, beginning January 22, 2018, driver's licenses from nine states will no longer be considered "valid" identification for air travel starting early in 2018. But on Thursday the TSA confirmed to Business Insider that the new requirements are being postponed until October 1, 2020. That means that drivers licenses from the nine states — Kentucky, Maine, Minnesota, Missouri, Montana, Oklahoma, Pennsylvania, South Carolina, and Washington — will remain valid for air travel for the next few years. The new ID requirements are detailed by the REAL ID Act. Among other things, the 2005 law outlines new federal requirements that must be met in order for state-issued IDs to be considered valid for federal purposes, such as entering secure federal buildings or traveling by air. In particular, the requirements pertain to what information states collect before issuing identification. For a driver's license to be REAL ID-compliant, a state must require applicants to present either a photo ID or an ID which includes a full name and birth date, proof of birth date (generally a birth certificate), proof of resident status and social security number, and proof of address. REAL IDs are also required to have the holder's signature, gender, a unique identifying number, and certain anti-tampering or counterfeiting measures. A TSA spokesman told Business Insider the reason that the new requirements will not be put into effect next month is that the nine states which were going to become non compliant have all been granted extensions. Implementation of the law for air travel has been postponed a few times previously as individual states have filed for extensions as they build the infrastructure necessary to meet the requirements of the law. The latest postponement gives states more time to change their ID-issuing process. Some states, like Massachusetts, have outlined plans to begin issuing REAL ID-compliant licenses. 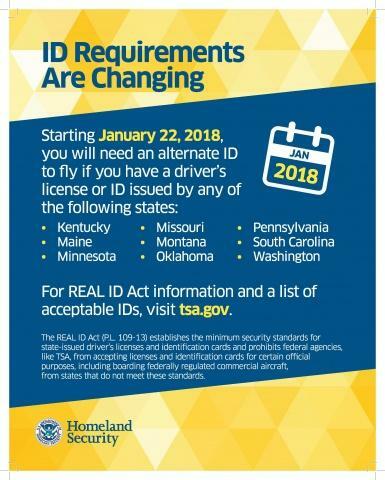 While a TSA webpage still shows January 2018 as the deadline; the TSA spokesman confirmed to Business Insider that drivers licenses from the nine listed states will continue to be valid for air travel until October 2020.